A few years ago, Mike DeCotis and I worked together to persuade Tiverton’s school committee to start all-day kindergarten, and we’ve had some lengthy conversations since then. I was disappointed, therefore, to see him attack the Tiverton Taxpayers Association (TTA) in a recent letter to the editor. He criticized us for things that he’s previously told me he agreed with. With that letter, he proved that he and his three-person political action committee really are on one side of the local divide. Now, the 24 commission candidates split exactly in half on a basic question of their vision for the town. Here’s my “vision”: Local government’s role isn’t to plan what everybody can and must do with their property. The diversity of neighborhoods that I love in Tiverton and Rhode Island didn’t happen because people sat around on committees and decided to put this here and that there. It happened because people made the best decisions for themselves with their own property. Where there are stores, they grew because customers wanted what was being sold. Where there are activities, they persist because people want to do them. Of course I’d love to see more or less of certain things in town, but my preferences shouldn’t be the law. As the “Declaration of Independence” puts it, “Governments are Instituted” to “secure” our rights to “Life, Liberty, and the Pursuit of Happiness.” Town government provides guidelines and maintains boundaries so we can work out our differences like neighbors. Twelve candidates for the Charter Review Commission, including the nine endorsed by the TTA, share this understanding and will review the Charter accordingly. The other 12 think the role of government is to plan our future. A handful of people on various boards and committees decide what Tiverton should look like and go about making sure that their vision is the one that wins. To them, the Charter’s primary function is to give the boards and committees power over us and to make sure that we can’t easily disrupt their plans. Think of the financial town referendum (FTR), which the TTA-endorsed candidates have pledged to protect. 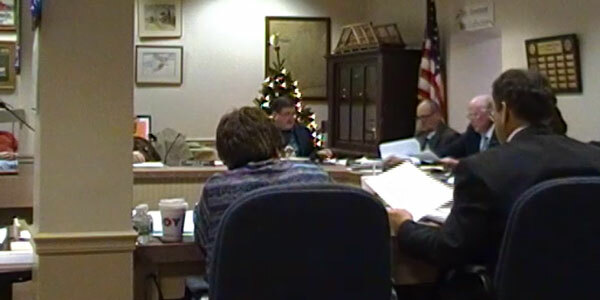 To the TTA, the FTR empowers voters to decide the town’s budgetary priorities each year through a private ballot, whatever those voters may decide. In contrast, the other candidates have insisted that the FTR needs significant changes, mostly to make it more difficult for a budget to go in a direction that they don’t like. That’s what the election on July 18th comes down to, not just for the FTR, but for the whole Charter: Do we want a rule book that protects us individually and helps us to resolve our differences with our neighbors, or do we want a contract that locks in somebody else’s vision for our town? If you want the protection and the freedom, these are your candidates: Justin LaCroix, Nancy Driggs, Jeffrey Caron, Richard Rom, Robert Coulter, Raymond Fougere, Stephen Clarke, William Lopes, and Donna Cook.